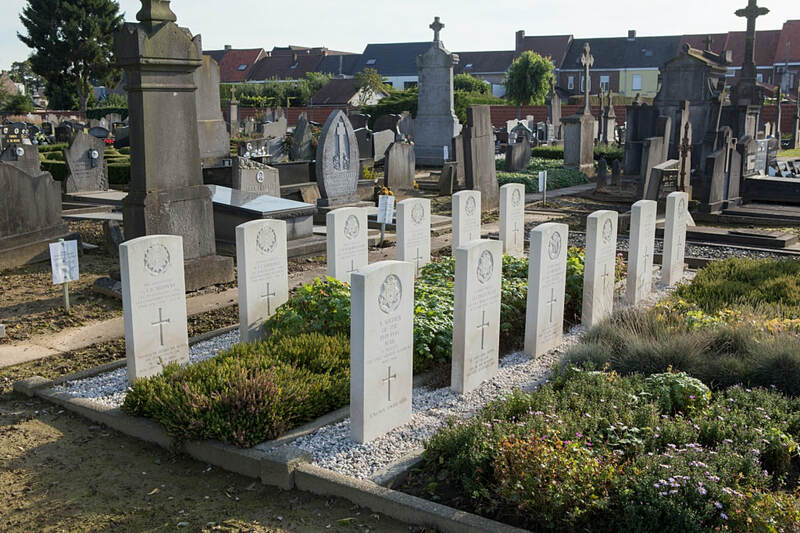 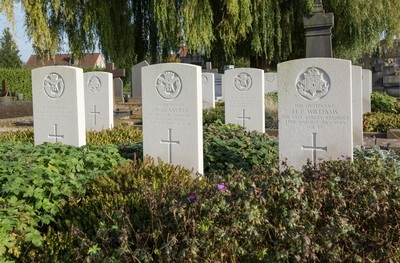 Avelgem Communal Cemetery is located 43 Km east of Ieper on the N8 which connects Ieper to Menen, Kortrijk and on to Avelgem. The N8 is a continuous road running from Ieper to Avelgem via Menen, Wevelgem, Kortrijk, Zwevegem and on to Avelgem. 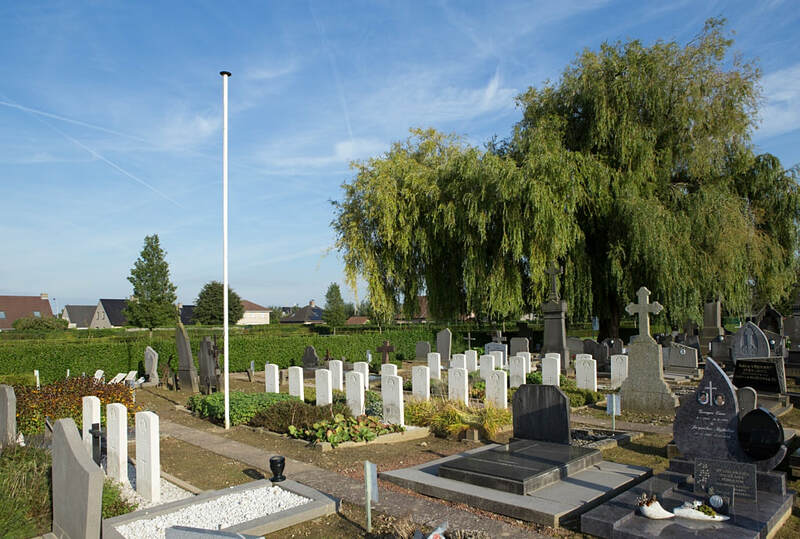 The village is approached along the N8 Kortrijkstraat which leads onto the Gemeenteplein. The communal cemetery is located on the first left hand turning after leaving the Gemeenteplein in a street called Kerkhofstraat. 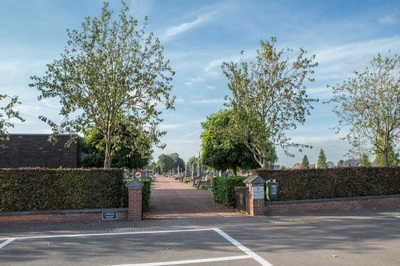 The cemetery is located on the right hand side of Kerkhofstraat. 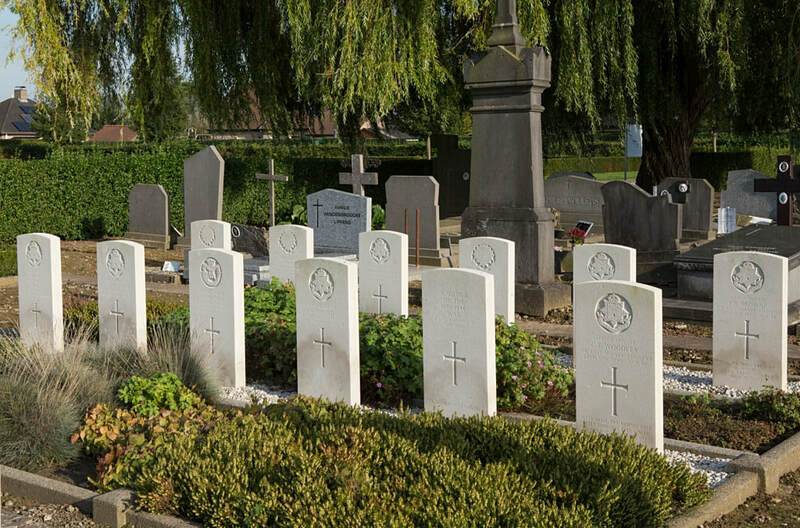 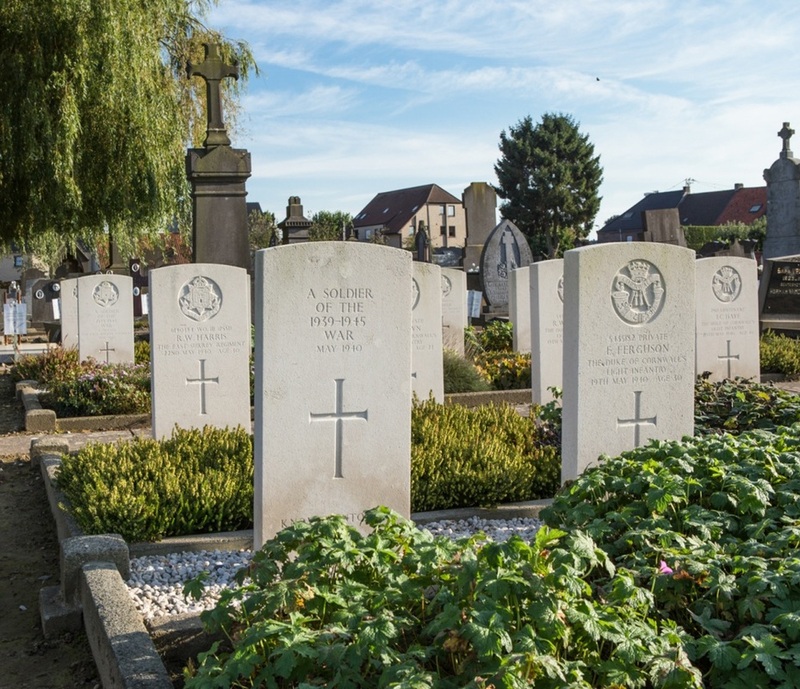 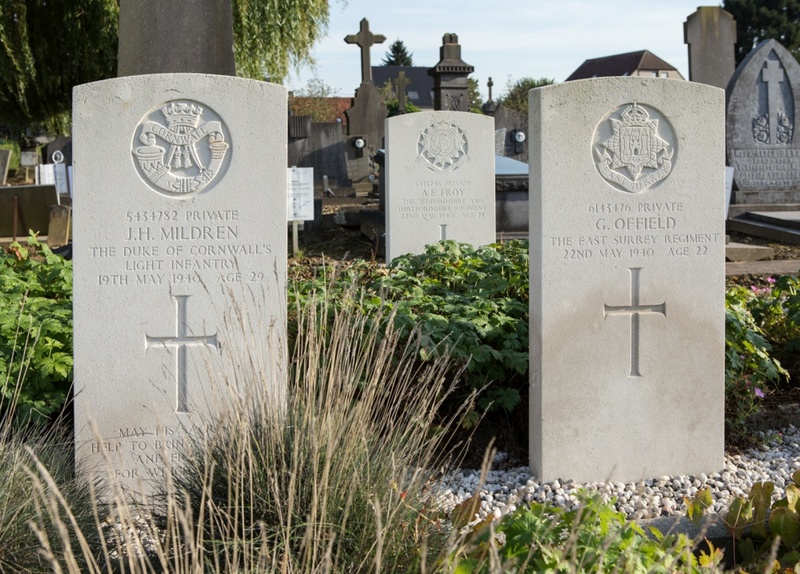 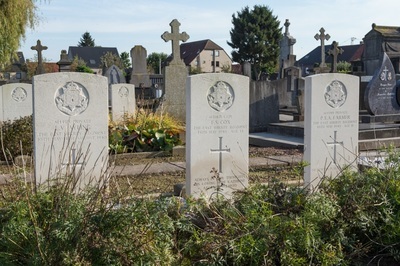 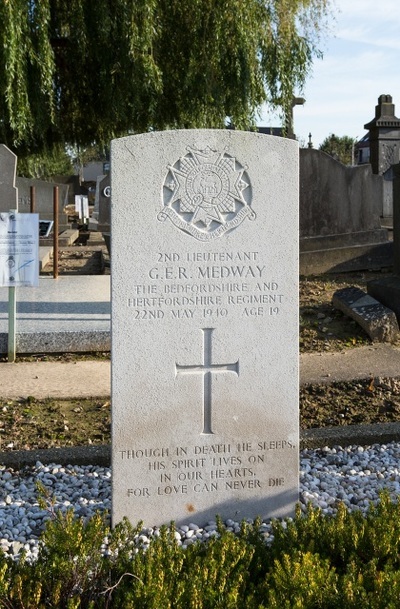 Avelgem Communal Cemetery contains 26 Commonwealth burials of the Second World War, three of them unidentified.